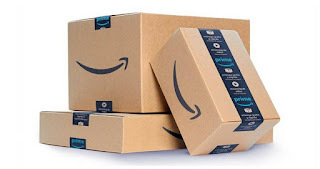 Uma das maiores fontes de receita da Amazon são os produtos comercializados por terceiros. A empresa (e seu site) hospedam possíveis vendedores de produtos. Isto gera receita e lucro, mas traz produtos falsificados e pirateados. Under our seller programs, we may be unable to prevent sellers from collecting payments, fraudulently or otherwise, when buyers never receive the products they ordered or when the products received are materially different from the sellers’ descriptions. We also may be unable to prevent sellers in our stores or through other stores from selling unlawful, counterfeit, pirated, or stolen goods, selling goods in an unlawful or unethical manner, violating the proprietary rights of others, or otherwise violating our policies. Under our A2Z Guarantee, we reimburse buyers for payments up to certain limits in these situations, and as our third-party seller sales grow, the cost of this program will increase and could negatively affect our operating results. In addition, to the extent any of this occurs, it could harm our business or damage our reputation and we could face civil or criminal liability for unlawful activities by our sellers. Conforme a nota, toda vez que a empresa vende um produto deste tipo, a empresa reembolsa o cliente. A questão é que se a receita cresce, o volume de reembolso também cresce. Ao divulgar isto, novamente pela primeira vez, na sua demonstração contábil, a empresa está reconhecendo o problema.